At PFG, we all come to work every day because we want to solve the problems that enable industries to grow. Born from the need to produce high performing and resistant sea cages for the wild Southern Ocean, PFG are leaders in the aquaculture and marine industry, underpinned by a broader industrial services capability. Our dedicated, skilled and diverse team loves a challenge; whether it be designing and building the only vacuum-based insitu netwasher in the world, building the world’s first commercial scale rock lobster hatchery, or manufacturing another unbreakable Aquatruck. We provide a turn-key solution to Marine farmers and associated industries. It’s for this reason we have had an outstanding record of growth in the Salmon, Trout, Tuna, Kingfish, Oyster and Lobster industries and are the largest aquaculture and marine equipment supplier in Australia. We also work with agriculture, civil works and mining sectors, replacing products traditionally made from steel with highly durable, cost-effective polyethylene (PE) as well as providing a range of products and services that benefit these industries. 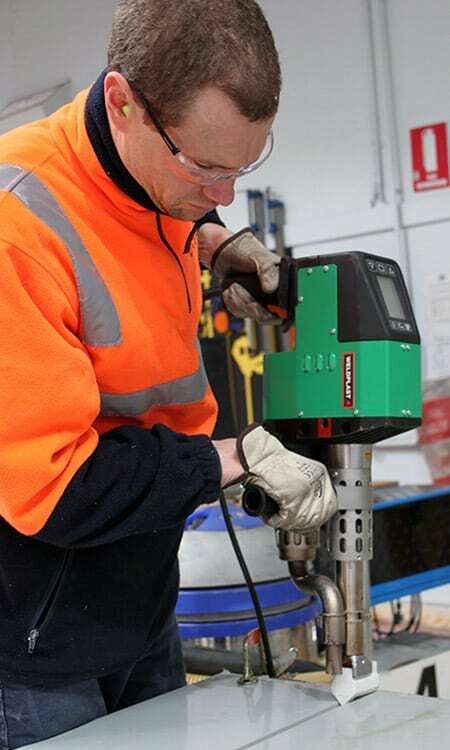 Proudly a Tasmanian owned company, we have manufacturing and distribution facilities in Australia, New Zealand, Asia and Europe – servicing and distributing to every continent on the planet. The PFG Group consists of Seafarm Systems, Aquatruck, Seamaster Fishing Supplies, MIC Marine, Plastic Fabrications, Kiel Industries, Life Raft Solutions Tasmania, Hexcyl and Singapore Aqua. Michael leads the PFG Group of companies and related entities across Aquaculture, Commercial Marine, Industrial Services and Defence. With 20 years experience in leadership roles in the public, private and not for profit sectors as an owner, contractor and consultant across manufacturing, infrastructure, engineering, project management and organisational capacity development. Michael is passionate about the role that business plays in maintaining our good communities and providing a sustainable future. 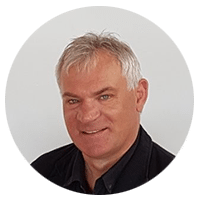 Michael is a non-executive director of University Nexus Aquasciences, Hexcyl Systems and Guangzhou Australian Aquaculture Technology Partnership, he is also a board member of Lifeline Tasmania. Jeremy heads the Commercial Fishing and Marine division at PFG, the Commercial Fishing and Marine division supplies high quality equipment and services to the commercial fishing marine operations, tourism and emergency services sectors across Australia. Jeremy comes from a diverse background in mechanical engineering and marine industry roles, he has a passion for all things on and under water. Previously Jeremy was a mechanical engineer for Austal Ships and also worked for a dedicated marine engineering company before his move to PFG Group. 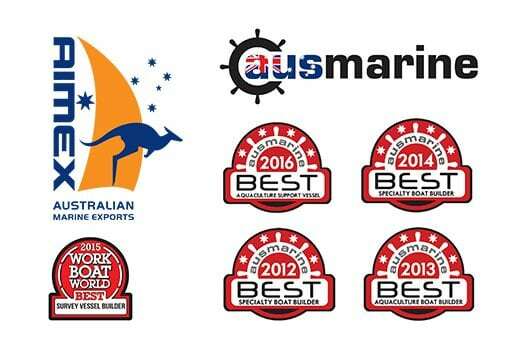 He is a Committee member with Standards Australia – Lifejackets and Personal Safety Equipment for Small Craft. Rob leads the Industrial Service and Defence Division, the division consists of technical sales managers and project engineers that deliver complex integrated solutions to SMEs, MIs, contractors and law enforcement customers. Previously assistant to the General Manager of Advanced Manufacturing and Defence for the Department of State Growth, he was also Managing Director of Engineering Support Services. 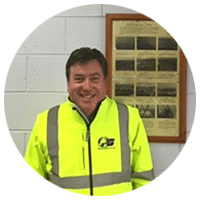 Robert is a member of the Tasmanian Minerals and Energy Council, Chair of the Tasmania Maritime Network, President of the Australian Industry Defence Network and a member of the Australian Commercial Marine Group. David heads the PFG Production and Integrated logistic teams. He looks after operations and productions management, engineering and manufacturing processes and coordinates our worldwide distribution network. 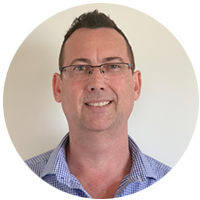 Previously a Production Manager at Incat Tasmania Pty Ltd, he has extensive experience in Lean manufacturing, quality management, supply chain distribution and shipping logistics. Robert takes primary responsibility for managing and reporting the company’s finances. He is a highly skilled Chartered Accountant, financial planner and manages the company’s financial risks, financial reporting and data analysis. 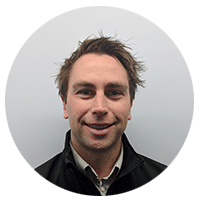 Robert has a Master’s Degree in Applied Finance, his previous financial accounting and management experience includes 13 years with an ASX200 group. Tim leads the aquaculture division of PFG. The team consists of technicians, sales managers, project managers and project engineers that design, supply and install equipment to support the aquaculture industry. 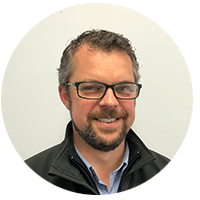 Tim has worked in Australian aquaculture and related services for over 20 years, previously working for global companies such as Phillips Foods Inc, Clean Seas, Aquatic Environmental Systems, Ionics and Atlantis Resources. James is Chair and Director at PFG. 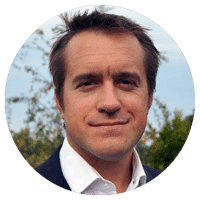 James believes business success is underpinned by clarity of purpose and goals and articulating them in simple yet compelling ways. James is also Chair of Tourism Tasmania, he is a Director at Intuit Technologies, and Director of Kriticos Nominees Pty Ltd.
Nick is an Independent Non-Executive Director and Chair of the Audit and Risk Committee at TasWater, an Independent Chairman of the Audit and Risk Committee at Ta Ann, an Independent Non-Executive Director of Australian Seafood Industries Pty Ltd and an independent Board advisor to 2PM Services. Michael is a shareholder representative and non-executive director of PFG. With a primary focus on information management and business process engineering, together with well-rounded skills in all aspects of systems implementation, integration and operations, Michael applies these skills in his role as a director of PFG. Michael is also Director of Kriticos Group. Professor Brigid Heywood (BSc) (PhD) is Deputy Vice-Chancellor (Research) at the University of Tasmania. Throughout her academic and wider professional career she has always worked closely with business and industry, and is interested in enterprise and innovation as drivers to foster economic and social change. Brian is a shareholder representative and non-executive director of PFG. Brian’s professional career has included roles of Senior Economic Advisor to both the Labour and Greens parties. Brian is currently the Director and CFO of one of Tasmania’s largest private equity hedge funds. 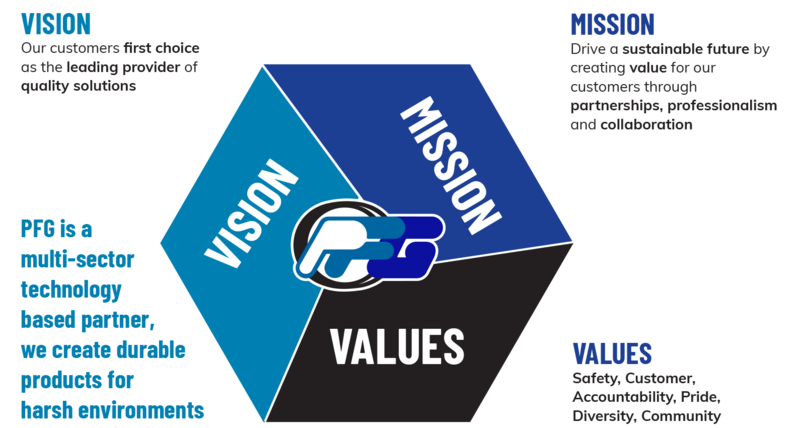 Our mission at PFG is to drive a sustainable future by creating value for our customers through partnerships, professionalism and collaboration. We proudly partner with organisations that share our values and create opportunities for our customers. © 2018 PFG Group Pty Ltd.